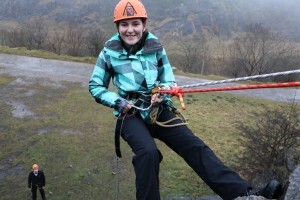 You can go Climbing and abseiling in the Lake district, Yorkshire or Lancashire. There is a wide range of mountain crags and quarries. We can teach you what you will need to know to get the best out of these activities. Appropriate clothing for the weather. We will be outdoors unless it’s raining. Appropriate footwear. Hiking boots, or trainers, not wellies. Abseiling is a fantastic way of pushing yourself to the limit. The biggest abseil locally is 130 feet! 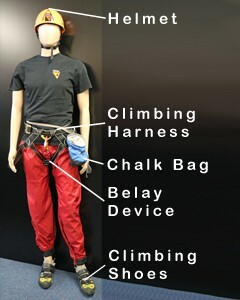 Climbing is a fantastic activity to challenge yourself both physically and mentally whilst in a beautiful environment. We can offer you tuition on improving your climbing or just deliver a fun and exciting day. Poor weather contingency – indoor climbing wall. This will incur an additional £9 per person.